Halloween is coming and now is a great time to remind people how to remain safe during the holiday. Statistics show 23% of fatalities occur with children between the ages of five and eight; and 70% of accidents occur away from an intersection or crosswalk. Use caution during the “scariest” hours: between 5 p.m. to 9 p.m. Studies show the hour between 6 p.m. to 7 p.m. is especially dangerous for pedestrian accidents. Stick to neighborhoods with sidewalks. If you must walk on the street, keep to the far left, facing traffic. Practice safe crossing procedures: Use crosswalk; wait for corners; and look left, right and left again before crossing. Stick reflective tape onto costumes to make your child more visible. Also have him/her carry a flashlight. 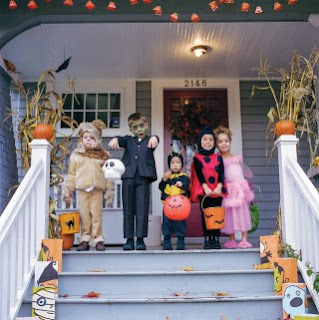 Make sure costumes and shoes are the correct size to prevent tripping. Use face paint and leave masks at home. Masks can obstruct vision. If an older child is venturing out without supervision, ask him/her to go with a group. Discuss the route and agree on a curfew. Give older kids cell phones so they can stay in touch. Be alert for children and eliminate in-car distractions. Practice extra caution at intersections and corners. Pull in and out of driveways carefully. Keep your home brightly lit. Clear debris and other obstacles from your lawn, sidewalks and steps. Opt for battery-operated candles in jack-o’-lanterns instead of candles. Keep pets kenneled or in another room. Now let’s have fun and stay safe out there! The Windham PTA has kicked off the annual Reflections program. They are currently accepting artistic submissions from students in grades K-12 in the following four categories: Photography, Visual Arts, Literature, and Music Composition. Reflections is a program of the National PTA. Winners of the local competition will be submitted to the state level, and from there, state winners will be submitted to the national competition. Last year Windham student Lydia Marden, a fifth grader at the time, received national recognition with an Award of Merit for her piano/vocal composition. While the national competition offers two additional categories, the local PTA has chosen to limit their competition to the four listed due to the time it takes and number of volunteers they have available. 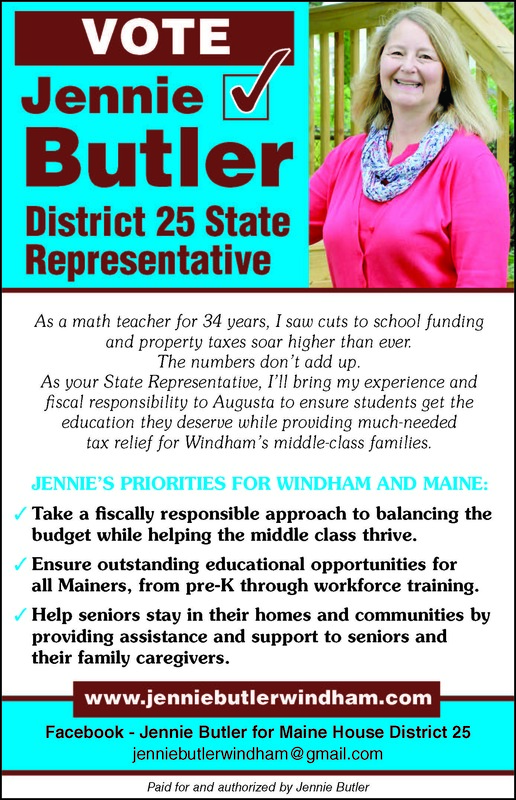 “We are hopeful in the future, with more manpower, that we might be able to include the other two categories as well,” said Windham PTA Reflections Chair, Katharine Slomczynski. The PTA is seeking volunteers to help with every aspect of the competition. 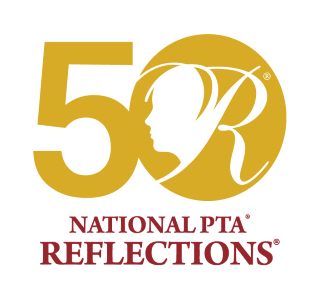 This year marks the National PTA’s 50th anniversary of the Reflections program. 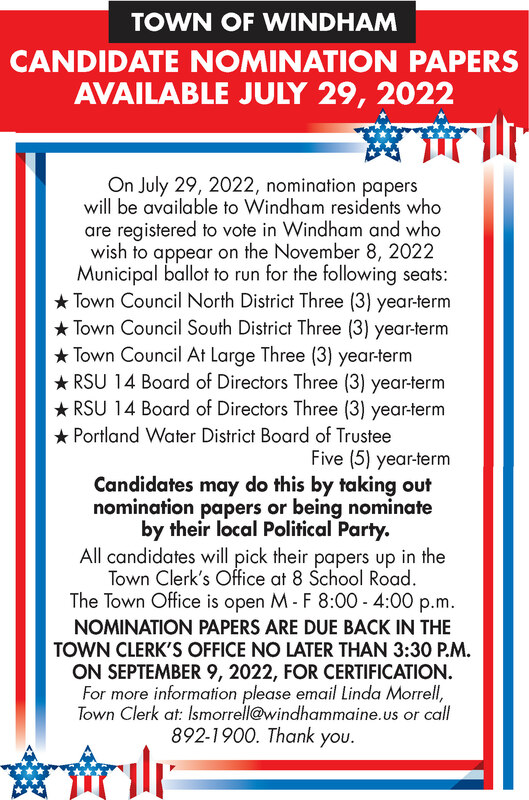 It is the third consecutive year that Windham has participated, Slomczynski said. The theme this year is “Heroes Around Me.” Artwork is judged by local artists recognized in their field, who donate their time to help in this endeavor, Slomczynski said. To enter, a student should choose a category and create a piece based on their interpretation of the theme. An entry form should be completed and submitted along with the artwork at the main office of the student’s school by November 16, 2018. Submission envelopes should include the category, division, full student name, and teacher’s name. All official rules must be followed to qualify for prizes. A link to rules can be found on the PTA website, www.windhammainepta.org. Anyone with questions should also refer to the website. Fans of community theater and feel good musicals shouldn’t miss Windham Center Stage’s production of “Sister Act”, which opened on Friday, October 19 to a large, appreciative crowd. “Sister Act” tells the hilarious, high energy tale of an aspiring singer on the run from her sinister married lover. Hidden in a convent, her infectious personality can’t be contained, and she transforms their lackluster choir into a glitzy, showstopping group that just might save the failing church. 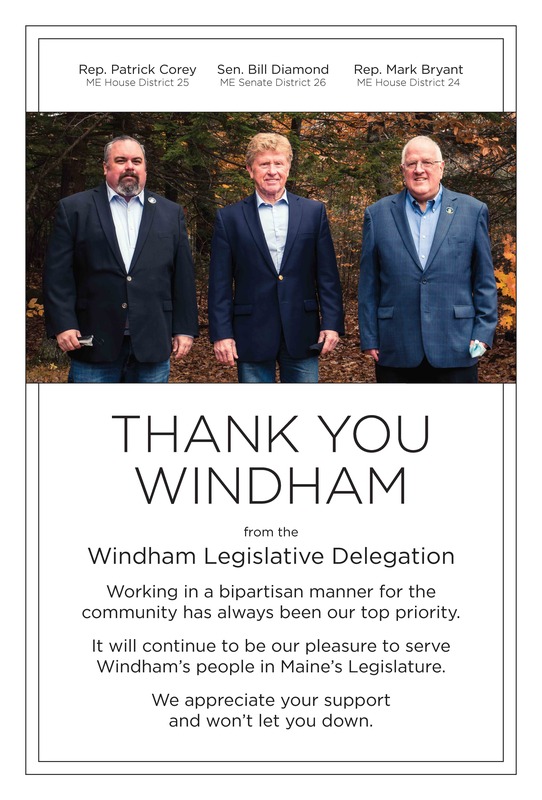 What always strikes me most about Windham Center Stage is the true feeling of community in the room. This company knows what community theater should be, and support from the community is clear. The program is filled with expressions of gratitude – from the show’s sponsor, Erik’s Church, to the volunteers and local businesses who donated goods and services. The love of theater and putting on a great show shines through in every detail of the production. This show had a large cast, but the stage never seemed too crowded, and the cast made good use of all available space. The pace and flow were just right from the very first number. On opening night, the sound system seemed to have a few issues, with some static and popping from the speakers, and mics that appeared not to be working properly at times. But despite those technical issues, the energy of the cast kept the show moving forward and the audience engaged. Musical numbers were lively and engaging, and there was a wealth of talent on stage. Large ensemble numbers were well coordinated and fun to watch, with choreography that added energy and fun to each scene. Vocally, the cast blended well, though at times lyrics were difficult to make out clearly. Solo and small ensemble numbers offered both insight into these characters and a chance for individual cast members to shine. Characters were well developed, and each cast member seemed to make his or her character – no matter how big or small - their own. Sister Act runs through October 28, with performances on Friday and Saturday at 7 p.m., and Sunday at 2 p.m. Tickets are $15, $10 for seniors and students. 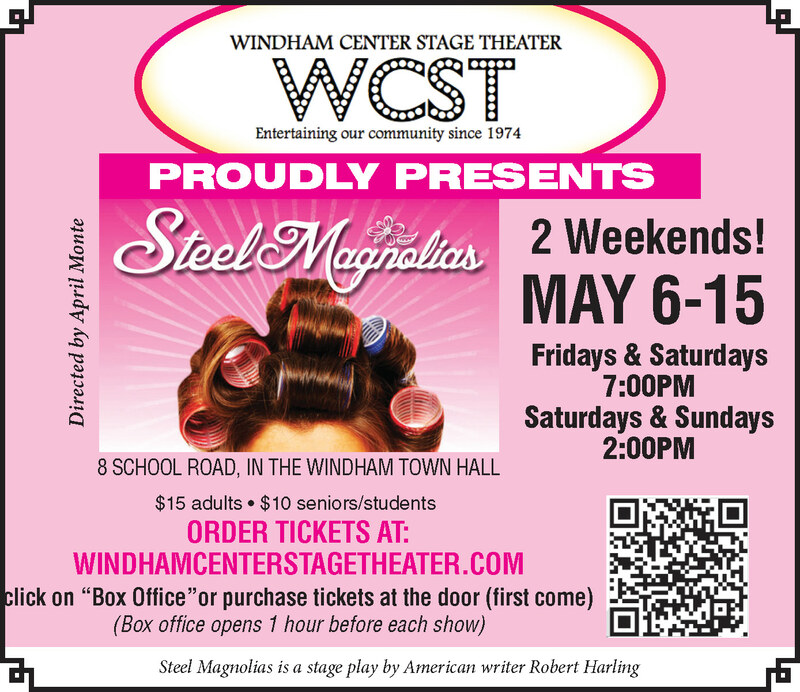 Tickets can be purchased online at www.windhamtheater.org or at the door prior to the show. Local Windham charity, Riding to the Top held its annual Boots, Band and Barbecue fundraiser on October the 13 for its 11th year in a row. 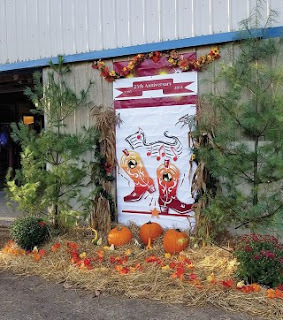 This fundraising Triple B event is the largest of the year for the organization which provides therapeutic horse riding for those with disabilities or who are at risk. The guest speaker, Corey McAllister, whose son attends Riding to the Top classes, said that each visit was the highlight of his week. I sat down with former board member and current volunteer Cindy Elder and we talked about Riding to the Top and the Triple B event. Riding to the Top provides more than just fun according to Elder; it provides “Amazing Equine services for individuals with a wide range of disabilities.” This includes increasing coordination, reducing muscle spasms and seizures and helping struggling children to open up emotionally. The fleet of horses and ponies they have had over their years have provided comfort, fun and training to thousands of people from Maine and beyond. The event itself was a special one as it also celebrated the nonprofit's 25th year of service to the community of Windham and Maine at large. Riding to the Top partnered with many Maine businesses including DennyMike's BBQ, who catered the event with the titular barbeque, 99.9 The Wolf, IDEXX, St. Joseph's College, the Gorham Police Department, Portland Volvo and Norway Savings Bank as well as many more. A few of the businesses even matched donation goals if goals were met. Live music was also provided by local band, Under The Covers. The goal of the event was to bring the Boots, Band, and BBQ total funds raised in its eleven year run to over one million dollars. One of the many ways in which the money was raised began with Auctioneer Allie Byers having guests raise cards in a descending level of donations from five thousand to fifty dollars. Each individual was provided a card to raise to assign themselves a promised donation, and cards began to shoot out as people donated for horse care, sponsoring people to be able to attend courses, and much more. Over the course of just a few minutes thousands upon thousands of dollars had been raised for the Riding to the Top community. With over 800 hours from all the contributors and over 400 guests attending the event a total of $165,000 dollars was raised with seven of the donations at the $5,000-dollar mark, exceeding their million dollar lifetime goal. The goal was also met through various other donations, raffle tickets and even a football helmet signed by New England Patriots Quarterback Tom Brady. While the event was a success, the non-profit is still planning to go full steam ahead into 2019. Though there are many volunteers, there is always more room for individuals who want to have a meaningful impact to help. The organization will be hosting more events throughout the year, as well as providing meaningful courses to those in need from children to retirees. If you would like to contribute to the cause or learn more visit www.ridingtothetop.org or call 892-2813. Stories of paranormal activity in Windham’s oldest burial ground are nothing new. A great many residents say they believe the Anderson Cemetery is haunted by the spirits of the town’s earliest settlers. Located off River Road near the Parson Smith House, the ancient family style graveyard cradles the remains of numerous early founders including Smith, Hunnewell and Anderson. Distinctive among the many monuments and headstones is the ominous, yet dignified Anderson crypt. The historian Frederick Dole writes that its front “is said to be a facsimile of the Washington tomb at Mount Vernon.” The door, once secured by a combination lock, is now sealed with angular slate-like stone, fitted together like pieces of a jig-saw puzzle. On either side are door-sized tablets, engraved with the names of several descendants of Abraham and Lucy Anderson who are interred there. This was the setting when two Windham town councilors (one former, one current) and several companions decided to explore the historic burial ground. Carol Waig, Dennis Welch, Welch’s son, Shawn and four others entered the cemetery one chilly afternoon in the fall of 2013. Their final stop was the front of the Anderson crypt. Welch (a current town councilor), explained how Shawn began reading aloud the names of the Andersons listed on the tablets. As he read, the group heard low-level “knocks,” seemingly from within the crypt. Dismissed as environmental noise, Shawn continued. And so did the knocking – only louder, and almost in cadence with the reading. Finally, there came a very loud noise, definitely from within the tomb. At this point, Welch said he looked into the faces of his six companions. They all suggested the same thing: time to leave. And according to both Welch and Waig, who shared identical stories in two separate interviews, they lost no time returning to their vehicle. As stated earlier, the story is not unusual. Scores of visitors to the Anderson Cemetery claim to have had similar experiences. In addition to the cold pockets and the mysterious knocking, paranormal investigators have reported other shuddery activity, such as the presence of orbs (light-emitting disks), strange mists, apparitions and dark figures lurking among trees. One report, unsubstantiated, involved a visitor who claimed to have been frightened out of the cemetery by a “spirit” that followed him home and trashed some of his furniture. He is said to have hired an exorcist. Still, cemetery “victims” insist that, despite the lack of scientific evidence, what they experienced was real. Asked if they had theories on the origin of the knocks at the Anderson crypt, Waig and Welch were both circumspect. Waig, who experienced yet another unusual encounter at Anderson about a year later, speculated “There may be things out there…sitting in purgatory, crying out for attention. I have a strong faith in God (and) I don’t believe in demons. People are afraid of what they don’t know. I regret not staying (at the crypt). We might have found an answer. With Chronic Wasting Disease discovered in bordering Quebec, the Maine Department of Inland Fisheries and Wildlife implemented emergency rules designed to protect Maine's deer and moose herds, and keep Maine CWD free. 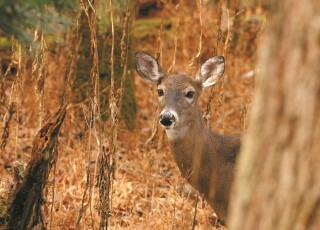 "Chronic Wasting Disease is the most serious threat facing our deer and moose populations in modern times," said Chandler Woodcock, Commissioner of the Maine Department of Inland Fisheries and Wildlife. "Unchecked, this disease could devastate Maine's Deer and Moose populations, and ravage Maine's hunting and wildlife watching economy." boned-out meat; properly identified and labeled. hardened antlers; skull caps with or without antlers attached that have been cleaned free of brain and other tissues;capes and hides with no skull attached; teeth; and finished taxidermy mounts. "We hope that all hunters take an active role in keeping CWD out of Maine by doing their part to prevent the spread of CWD," said Woodcock. could be just what they need. 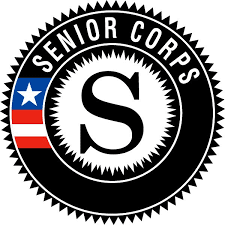 Senior Corps is federally funded by the Corporation for National and Community Service. The Opportunity Alliance is the local sponsor for two Senior Corps programs: The Foster Grandparent Program and the Senior Companion program. Director Susan Lavigne calls the programs a “win-win-win” because they benefit the volunteer, the person or people they are serving, and the greater community. Lavigne said both programs were founded to engage older adults who had time and resources available to benefit their community. The Foster Grandparents program began in 1965, and the Senior Companion program in 1974. 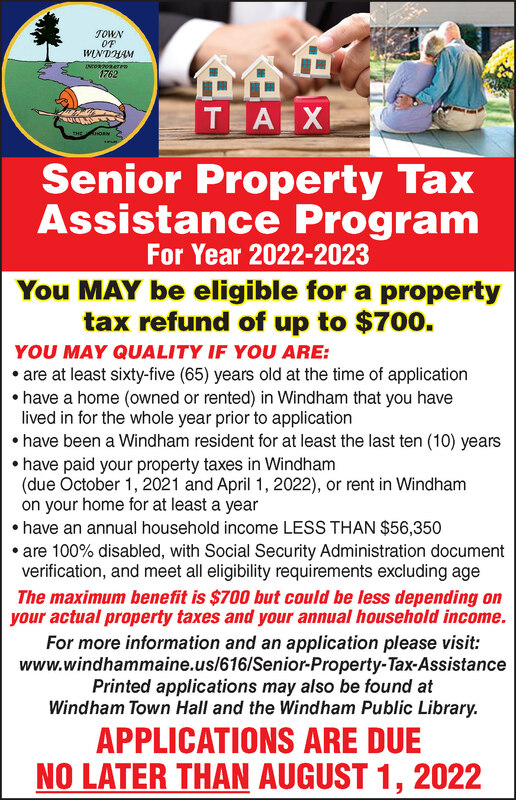 A nontaxable stipend ensures that low income people ages 55 and over who fall within the generous income guidelines can volunteer in these programs without it costing them anything. The programs are also open to non-stipend volunteers. In addition to the federal funding, local organizations help keep the programs sustainable, including: United Way of Greater Portland, United Way of York County, State of Maine Office of Adult and Disability Services, Cumberland County Commissioners, and the schools and sites where volunteers are placed. 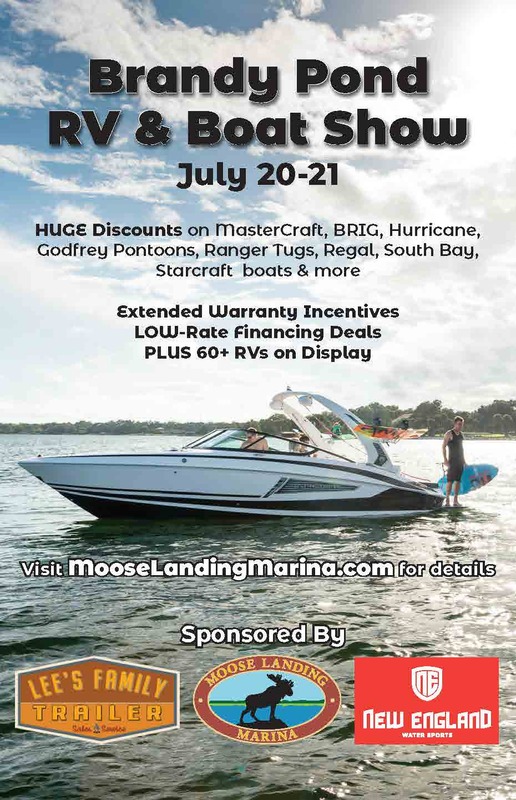 “It’s quite a complex package and it enables us to really be sustainable because we don’t just have one funding source,” said Lavigne, adding that the programs also hold fundraising events. Volunteers for the Senior Companions or Foster Grandparent programs are asked to commit at least 15 hours per week in order to build the appropriate relationships with clients. The average, Lavigne said, is 24 hours per week, but some volunteers do up to 40 hours. In exchange for their time, volunteers receive the nontaxable stipend, generous mileage reimbursement, meal reimbursement if no meal is available, regular training and recognition. Coordinator Erica Lovejoy said that in the Foster Grandparent program, volunteers are placed in classrooms to work with children from infants through high school. The intent is for these volunteers to fill a nurturing role, helping children who need a little extra support, she said. This may include rocking infants, sharing snack and conversation with preschoolers or reading one on one with older students. No education background is necessary, Lovejoy said. All they need is a desire to help children, compassion, and a willingness to learn and try new things. In the Senior Companion program, volunteers are helping their neighbors continue to live independently, Lavigne said. Getchell added that they also can provide respite care for caregivers, allowing an opportunity for these caregivers to get out and take care of themselves. Senior Companions are also placed in adult day centers, often working with individuals with Alzheimer’s disease. Volunteers are matched with opportunities in the communities in which they live as often as possible, Lavigne said. Often, the volunteers are getting as much as the clients out of their participation. Lovejoy said they hear time and again how the program combats loneliness in the volunteers themselves, giving them a peer group to socialize with. She assists clients by taking them shopping, to doctor’s appointments, and sometimes just out for coffee and a doughnut. “We don’t think of those things when we think of somebody who no longer has a driver’s license and can’t get to the store themselves. Many agencies cannot drive their clients, but that’s one of the wonderful things as a volunteer that we can do,” she said. Paige has been volunteering for the program for twelve years. At age 77, she says she hopes to have 20 more years to serve. “It’s definitely something that keeps me involved, keeps me healthy, and keeps a smile on my face most days,” Paige said. On October 25, the programs are holding what Lavigne called a Snack & Chat Blitz. In four locations throughout Cumberland and York Counties, all at the same time, volunteers and staff will hosting events to spread the word on these volunteer programs. “It’s an opportunity for people to come and hear directly from our volunteers what volunteering for our program is, ask any questions, and have a face to face with us,” said Lavigne. While potential volunteers can also call the office any time for information, these events are intended let people in these individual communities what specific needs exist in that community. The communities were chosen because they represent areas where clients are waiting to be matched with a Senior Companion, or schools are asking for volunteers. 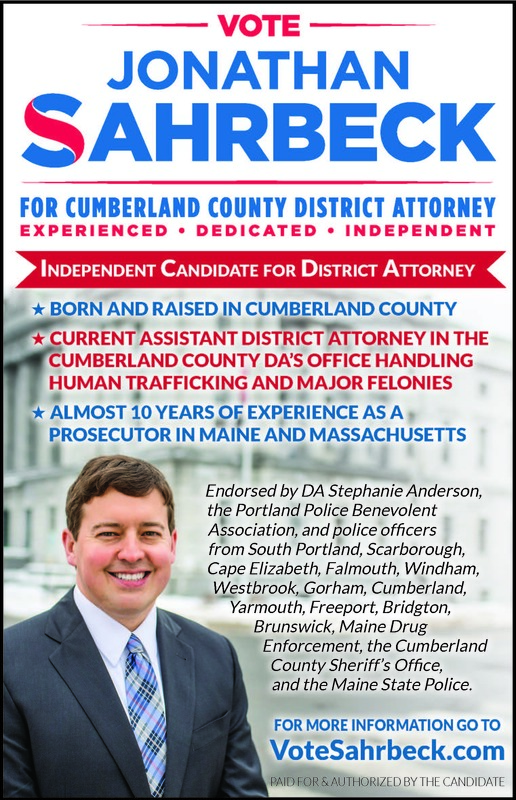 The events will be held from 10-11 am on Thursday, October 25th at the South Portland Community Center, Westbrook Community Center, Gray Public Library, and York County Community Action Corporation. 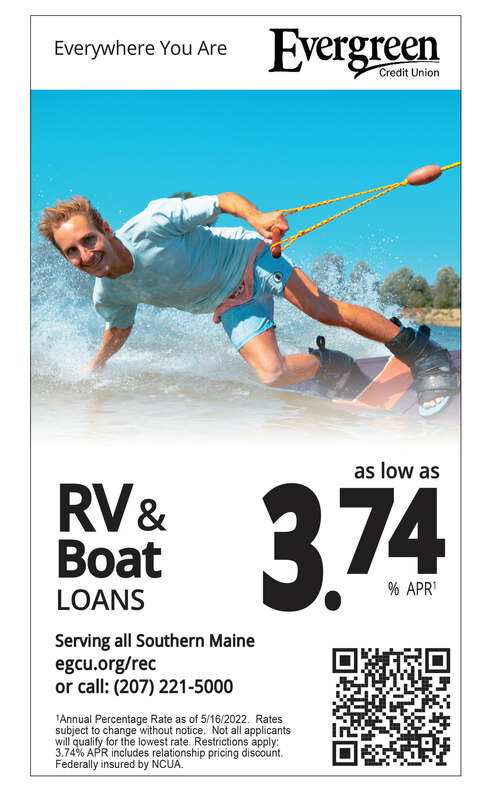 For more information, call 207-773-0202 or email fgp@opportunityalliance.org. class. Jacobe was a kind, caring individual who liked helping others. 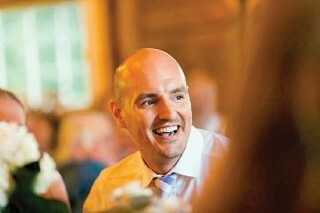 Tragically, he passed away from ALS (Amyotrophic Lateral Sclerosis) on Thursday, September 6. ALS is a disease affecting nerve cells in the brain and spinal cord. Motor neurons reach from the brain to muscles throughout the body. The progressive degeneration of the motor neurons eventually leads to their demise and loss of muscle movement. It is a disease that only affects body movement and does not hinder intellectual health. There are approximately 5,000 new diagnosed patients a year. Jacobe’s mother, Diana, remembers her son as someone with a tremendous amount of character. In high school, other parents of younger students would tell her how much they appreciated Jason helping their son with a sport without putting him down. Jason even took time out of his schedule to play with his niece, Emma. 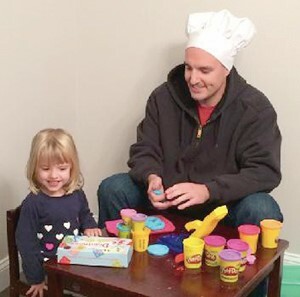 “He played store and made meatballs out of Playdoh with her. Jason loved life and people,” Diana explained. Jacobe attended the University of Maine at Orono obtaining a degree in mechanical engineering. 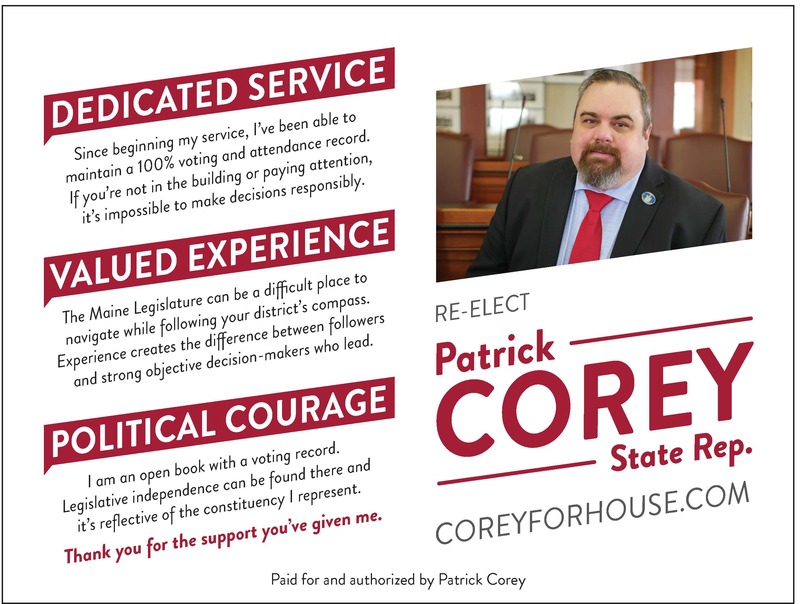 Upon graduation, he worked for Woodward and Curran, earning his professional engineering license. In 2008, he moved but continued working for Woodward and Curran in their Georgia office. His former supervisor and friend, Carlos Ayala-Diaz, described Jacobe as a role model, a passionate worker, and someone who you could count on to get things done. Ayala-Diaz said what he misses the most about Jacobe are the many fun and inspiring conversations they had with one another. Jacobe’s college roommate and former coworker, Daniel Florez, recalls him being a good friend who liked to help others. He admired Jacobe a lot. Jacobe met Elizabeth Myers in 2011 on a beach vacation they both took with a mutual friend. At the time, Jacobe lived in Atlanta and Myers in North Carolina. They dated long distance until Myers moved to Georgia. After receiving his ALS diagnosis in February 2016, Jacobe married Myers in April 2016. Jacobe wanted to live a life full of things he loved: camping, hikes, his dog Jackson, small trips with family or friends and sports. When asked by a friend if he was angry about ALS, Jacobe expressed that he didn’t feel sorry for himself, but felt bad about the toll it was taking on others. “I’ll forever remember Jason’s unique personality, his goofy sense of humor, his drive, and his integrity. We will all miss him,” says Roma. Jacobe had sporadic ALS, which in approximately 90% of cases the cause is unknown, and support is crucial after a diagnosis. Local ALS Association chapters have experts who can provide resources from support groups to financial aid to respite. 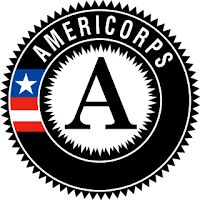 LearningWorks has received a $497,646 AmeriCorps grant from the Corporation for National and Community Service (CNCS). The grant will support 101 AmeriCorps members who will provide tutoring, mentoring, and extracurricular enrichment for students who are not yet meeting literacy and math benchmarks. In the 2017-2018 school year, AIMS HIGH provided individual and small group support to 550 students. We championed even more learners through afterschool activities and whole-classroom support. 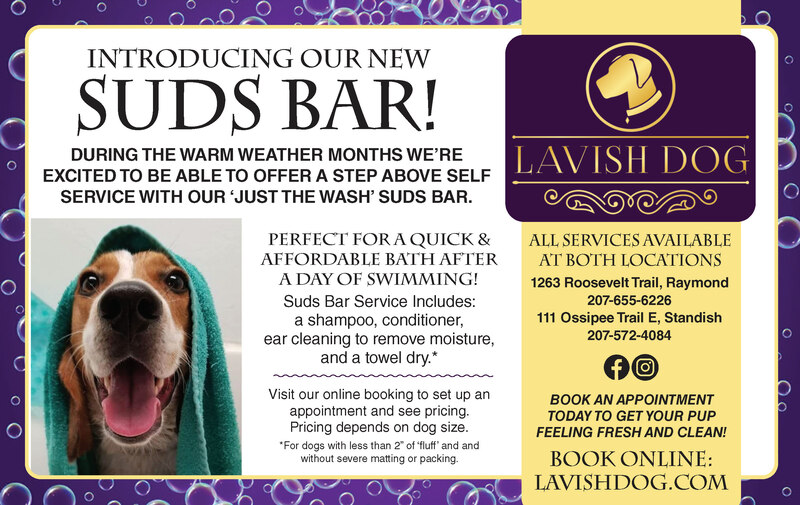 Our members have provided over 20,000 hours of direct service. This grant will fund LearningWorks' AIMS HIGH program to recruit, train, and support AmeriCorps members at five elementary schools with School Turnaround initiatives that include Windham Primary School, among others. Each school's team of AmeriCorps members will provide critical support to these school communities by working directly with students during the 2018-2019 school year. "AmeriCorps members are an indispensable source of positive impact and energy in our communities and nation," said Heather Davis, executive director of LearningWorks and a former AmeriCorps Member. "We're thrilled that the Corporation for National and Community Service has recognized the value of AmeriCorps members serving with LearningWorks in Southern Maine schools for the sixth straight year." In addition to the grant funding, CNCS will make available $221,000 in Segal AmeriCorps Education Awards for the LearningWorks AmeriCorps members to pay higher education costs or student loans. The grant will generate an additional $400,470 in local matching support and other outside resources from businesses, foundations, and other organizations. AIMS HIGH is actively seeking AmeriCorps members both locally and nationally to join their team and empower Southern Maine students. Full-time members earn $13,732 annual living allowance, $6,095 education award, and health insurance. Half-time members serve 25 hours per week and earn a $5,500 living allowance and $3,047 education award. Minimum-time members serve 7 hours per week and receive a $1,290 education award. AmeriCorps members over the age of 55 can gift their education award to their children or grandchildren. To apply, email aimshigh@learningworks.me or call (207) 517-3137. Saint Joseph’s College joins campuses nationwide in celebrating Campus Sustainability Month throughout October 2018. This annual event, hosted by the Association for the Advancement of Sustainability in Higher Education (AASHE), highlights achievements and raises awareness of the value of higher education sustainability. The Sustainability Tracking, Assessment & Rating System™ (STARS) is a transparent, self-reporting framework for colleges and universities to measure their sustainability performance. Saint Joseph’s College has earned a STARS Silver rating from AASHE for its efforts. The College’s Center for Sustainable Communities will partner with several departments throughout October for inspirational and fun events. The Center’s overarching goals include: achieve carbon neutrality by 2036; promote a culture of sustainability among students, faculty, staff, administration, and surrounding communities; establish the campus as a living laboratory for sustainable solutions; inform effective and inclusive sustainability-focused decision making on campus and in the community; and lead through innovation. Ongoing events include Meatless Mondays in which members of the college community are encouraged to be mindful of meat consumption and weekly walks on Thursdays to promote exercise. The College will also participate in the nationwide EcoChallenge, statewide Way 2 Go Maine Commuter Challenge, and everyone is encouraged to sign the pledge for #PlasticFreeSJC by incorporating reusable containers into daily routines. For more information about Sustainability Month activities, contact Energy Efficiency Coordinator Heather Craig at HCraig@sjcme.edu or 207-893-7783. 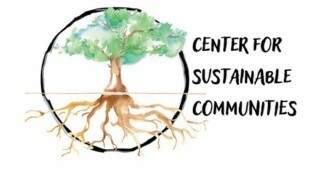 For more information about the Center for Sustainable Communities, contact CSC Engagement Coordinator Kimberly Post at kpost@sjcme.edu or 207-893-7789. Sustainability at Saint Joseph’s College encompasses human and ecological health, social justice, secure livelihoods, and a better world for future generations. It is expressed as a deep and holistic respect for the earth through daily practices, decision-making, and stewardship in a healthy and equitable way so that communities now and in the future can thrive. Learn more. The Center for Sustainable Communities fosters innovation and leadership through the intersection of social justice and sustainability by integrating principles of social, environmental, and economic sustainability into campus operations, academics, engagement, and policy and administration. AASHE empowers higher education administrators, faculty, staff and students to be effective change agents and drivers of sustainability innovation. AASHE enables members to translate information into action by offering essential resources and professional development to a diverse, engaged community of sustainability leaders. They work with and for higher education to ensure that our world’s future leaders are motivated and equipped to solve sustainability challenges. For more information, visit www.aashe.org. Perfect fall weather accompanied the Fall Holistic Fair on Saturday, September 29th at the Microtel Inn & Suites by Wyndham. 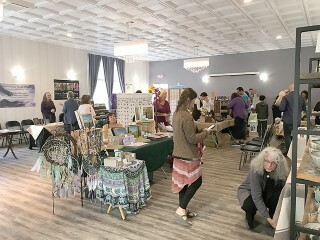 A wide range of booths inside and out offered up products and services all centered around healing, mindfulness, inner peace and spiritual health. As more people asked Klein about events, she began to work on organizing something small, with perhaps six practitioners. After some issues with her original location, she found herself driving right by where it was supposed to be held and ending up in the parking lot of the Microtel. She decided to go in and find out what could be done there. When she saw the space available, she was astounded. Everything fell into place, and she gathered vendors for her first fair held last March. “Within a week, I was full,” she said. An informational brochure on the practice states, “there can be immediate benefits in stress relief and a feeling of peace and contentment.” That perfectly describes the experience I had with that one trial session. Though there was noise and activity all around me, I was able to focus on Mayfield’s voice and find a quiet place within. For a busy mom with three different jobs and a number of volunteering responsibilities, that’s a rare and wonderful thing. After my meditation experience, I ventured inside to discover additional vendors and healing opportunities. Again, the atmosphere was warm and welcoming, with almost palpable positive energy. Some vendors were offering services for sale, others a free look at what they had to offer. As I walked by a sound and energy healing booth, and heard the tones from the crystal bowls, tears sprang to my eyes and I felt a sense of release. Since breaking down in public wasn’t of interest to me, I walked on by – but returned later to learn more. Between Thanksgiving and Christmas, a group of practitioners is working on putting together a free “give to yourself” day at Ways to Wellness in Windham (www.waystowellnesscenter.com) offering breathing, readings, stretching, yoga meditations, reiki and more. Klein has a healing and reading practice for one on one readings, offers her services at a range of events, and has been a guest on radio broadcasts. She can be reached on Facebook at https://www.facebook.com/tangibletarot/. The latest in a series of Windham history tours conducted by the Windham Historical Society will be held on Saturday, October 13. Dubbed History on the Hill, it features several stops at addresses on historic Windham Hill, a neighborhood with a fascinating and storied past, at the corner of Pope and Ward Roads. Included in each of four tours that day will be the Federal period style Moses Little House and the United Church of Christ, once featured in National Geographic magazine as one of the most picturesque old-style churches in New England. The first stop on the tour will be the 2 ½ story Edward Anderson House, the oldest residence on Windham Hill, located across from the public works facility on Windham Center Road. Built of post and beam construction in the early 1790s, the mainly Georgian architectural style house retains many original features, including a slight mix of Federal period characteristics. Edward Anderson built his first home on River Road, the beginnings of what would become the Anderson-Lord, or Maplewood Farm with its distinctive gothic appearance. The Windham Hill house would be his second dwelling and include many of the same features. Entering through the front door, the room on the right was a formal parlor used mainly for weddings, funerals or special visitors (children were often barred). Wide board wainscoting, wide pine floors and thin raised-panel doors with thumb latches and H and L hinges are original features. Ripples snaking across the flat surfaces of the woodwork and paneling reveal the craftsmanship of early hand planers. In most Georgian homes of the time a sitting room, or informal parlor, would be located to the left of the entry-way. But in what Griffin describes as a “hall and parlor” layout, this is the kitchen. Twelve over eight pane windows (at least one original remains) admit the light of a southern exposure. Hand-hewn beams line the ceiling and an old brick lined fireplace with a side bake oven are preserved from a much earlier time. Three fireplaces on the first floor linked to a central chimney remind us that these wood burners were the sole source of heat and cooked food. A back-room on the first floor, commonly referred to as a “borning room” was used to care for the sick, for storage and occasionally as office space, according to Griffin. In addition to the acquisition of the property at Windham Hill, Edward Anderson also gained mill rights on the near-by Pleasant River. He built a saw mill. To increase water power to the mill, Anderson tapped the waters of Collin’s Pond, creating added water energy to the river via Smith Brook. In June of 1814, strained by the water pressure of spring rains, the mill dam gave way. The resulting flood took out mills and bridges from Windham Hill to Gambo and Mallison’s Falls in South Windham. Subsequent law suits and the loss of his lumber business apparently left him destitute. Fast forward to 1947 – the house was purchased by the Sanborn family. According to daughter Ann (Sanborn) Clark, her father bought the place from a descendant of the Anderson family. For several months, the family used an ice box. “My dad had to buy ice every two days.” Ann’s brother, Lee, remembers his father installing the first plumbing and electricity. The family moved to California around 1950; the house was put up for rent and was vacant for a while. 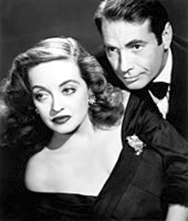 No one knows why Bette Davis’ eyes fell on Windham in the early 50s, but the legendary film actress and her movie star husband Gary Merrill rented the aged house. As far as anyone can remember, Davis and Merrill never lived there, but did move their furniture into the house for storage. According to Lee Sanborn, “My father knew of Davis’ reputation as a (heavy) drinker and being concerned about the narrow stairway to the second floor with its treads worn dangerously thin by over 150 years of foot traffic, decided to purchase $20,000 additional liability insurance.” Family and friends told his father the move was unnecessary and tried to no avail to talk him out of it. Davis and Merrill ended up building an estate in Cape Elizabeth, having spent little time at the Windham house. Later, in the 1960s, the Sanborn’s learned (although they cannot recall where the incident occurred) that Davis had indeed tumbled down a flight of stairs. And sued. “My dad said the (incident) proved he was clairvoyant,” recalled Lee. The current owners of the Anderson House, Steve Woodward and Jenna Shank, will open their home and share its unique architectural features and its stories this Saturday, October, 13 for four tours beginning at 10 a.m.